Thank you for choosing to bike! It wasn’t Thanksgiving Day yet, but we felt we wanted to do something to show our appreciation to fellow bicyclists- those who choose a bicycle over a car to get to work. Therefore, we got an idea to pass out some treats to people who were passing by with their bikes. First, Nellie made a prototype of the kind of treat we would be giving out. Then she made a whole bunch more. 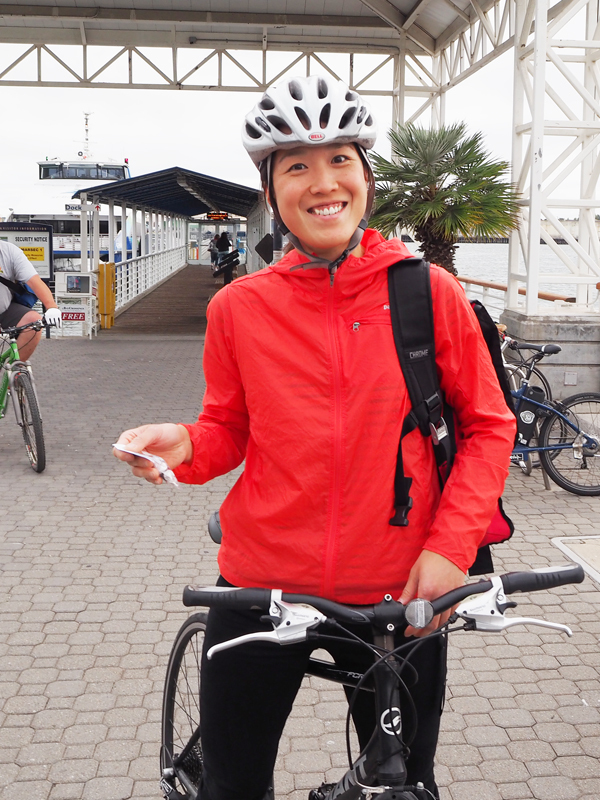 Last Friday evening, August 22nd, we handed them out to bike commuters coming off the Jack London Square ferries. Here are some photos of some of the folks we met. Thank you to all of you who choose to go from point A to point B by bicycle!